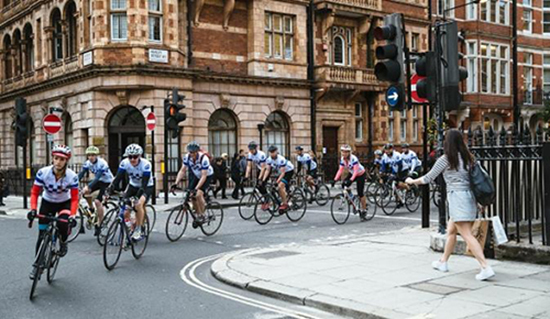 Riding-a-bike-across-part-of-Europe-for-Charity has become an indelible part of the calendar for many of us in the construction industry, and the latest GPE ride from Bournemouth to Cavendish Square was a brilliant example of the type. This year we are attempting to raise £60,000 for the Willow Foundation and have exceeded this target. 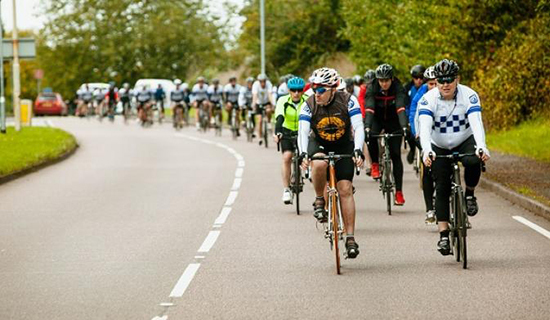 Two days of autumn sunshine smiled down on about sixty riders of all abilities as we wound swiftly through the countryside, with outstanding support from Chris and everyone else at Club Peloton. It was a genuine delight and not only for the time on the bike. What really animates these long rides is the unexpected conversations in the saddle, and in the pub afterwards. Where else would you find yourself chatting earnestly with GPE Chief Exec Toby Courtauld about Charles Jencks and ‘The Architecture of The Jumping Universe’. Jencks argued that the new sciences of complexity (chaos theory and so on) would change architecture profoundly as the universe ‘jumped’ into a new intellectual position. I wondered aloud if the bigger jump was a technological one made possible by the world-in-your-pocket that is your smartphone. I remember discussing complexity science with Jencks following a lecture he gave to introduce his new book, and concluding that, for me, it is the mathematics that underpins chaos theory that makes it so astounding, more than the aesthetic consequences and images of scientific complexity that we have all seen and wondered at. For the rest of the ride we all chatted about bikes, steel vs carbon, Brexit; and about how hungry we were, before rolling into Cavendish Square about ten minutes ahead of schedule. If you haven’t tried a BCO ride, Ride to MIPIM or any of the London day rides you should certainly give it a go. You will be better at riding than you thought, and surprised at what you find to talk about over a couple of days on a country bike ride.